APPLETON, Wis. – Most people think of venture capital as a big-city sport, with East and West Coast metros standing out as major-league players. Mid-sized cities such as Madison and Milwaukee are emerging targets for venture capital investment, but they’re still seen as competing for smaller pools of dollars. The rest of the country, including much of Wisconsin, lies largely outside the venture economy… Or does it? The story of NeuWave Medical, a medical therapy company that grew out of UW-Madison research before it was acquired a global health-care firm, shows how venture and angel capital often flows to suppliers and other businesses throughout the economy. Scott Button, managing director of Venture Investors LLC, recounted the NeuWave deal at a Oct. 11 meeting of the Tech Council Innovation Network in Appleton. It was a case study of how young, venture-backed companies grow – and it also illustrated how angel and venture capital dollars spread across the economy. NeuWave was acquired by Ethicon, a division of Johnson & Johnson, in 2016 following a 12-year journey from idea to U.S. Food and Drug Administration clearance to widespread medical use. At the time it was acquired, NeuWave’s tumor-destroying system had been used to treat nearly 14,000 patients in 272 medical centers. The company had 114 employees in 2016, of which almost all have remained in Wisconsin. Traditional liver surgeries for such tumors can lead to high blood loss, longer hospital stays and occasional deaths. Tumor ablation is often a same-day procedure with better outcomes, faster recovery and less cost. It was developed through a collaboration between physician-scientists and engineers at the UW-Madison, with researchers Fred Lee and Dan van der Weide leading the way and starting a precursor company, Micrablate, in 2004. By 2008, Venture Investors was involved as a lead investor and eventually metered about $12 million into the company, which raised about $54 million over time. Some of that money went into developing components of the NeuWave system, such as a high-pressure cooling system, an electro-mechanical cart, an electronic enclosure and a power delivery module through Wisconsin companies such as Sani-Matic, MPE Mobility Systems, Allied Panels and Plexus. Materials for the probe, as well as assembly and testing, were also sourced almost entirely in Wisconsin. An informal 2017 survey of about two-dozen venture-backed companies by the Wisconsin Technology Council, including several with technology developed at academic institutions, showed the same pattern. 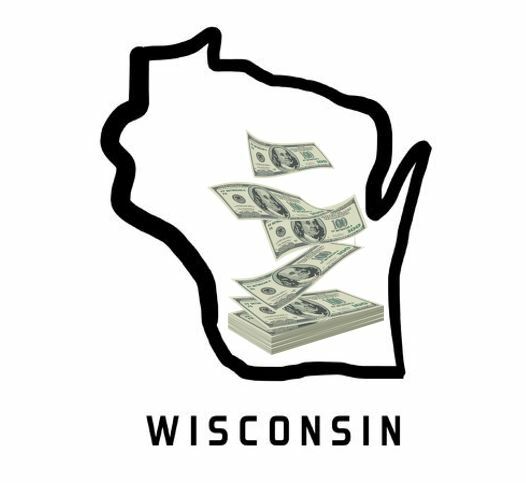 Suppliers, consultants and other professional services were obtained by those companies in 50 of Wisconsin’s 72 companies. The ripple effects of angel and venture capital often go unrecognized by those who believe such investments only help companies in Madison and Milwaukee. Young companies need services that range from prototypes to legal help, from electronic components to accounting, and from engineering to logistics. In that way, they’re much like other companies in an intertwined economy. The NeuWave Medical story has many angles that make it a Wisconsin poster child: Talented inventors from a leading academic campus who knew enough to stand aside as business managers when the time was right; early angel investors, family funds and loans; a product that improved human health; and the attraction of a major company that has planted a flag in Wisconsin. It also has the long tail of a supply chain, making venture capital much more than a two-party deal. Still is president of the Wisconsin Technology Council, which will hold the Wisconsin Early Stage Symposium Nov. 7-8 in Madison.